At first, when I arrived at Sibelius Monument in Helsinki, I was surprised to see a huge crowd. Intrigued I walked inside the open-park, more of forest actually, and there it was! A gigantic musical note, dangling in the air. At least, so it appeared, when I first glanced at it. As I got closer to the monument, I noticed a bunch of people practising ‘Yoga’ on my left. On my right, was the Jean Sibelius sculpture, with his face to be precise. Wherein, right in front of me, was this magnificent organ of music. Amazing vibes for the first time, visitor. No wonder, this famous landmark of Helsinki, is visited by hundreds every day. Perched between tall trees, the Sibelius Monument is a silver-colour archetype, a musical wave that reflects the phenomenal panorama surrounding it. Even though, what typically enhanced my experience was the Live music performance by a Finnish musician. For as long as, I was at the Sibelius Monument, a subtle sound of the harmonium kept lingering in the background. Eventually, I was lured away by the music and I did spend thirty minutes, listening to every little detail of the composition. 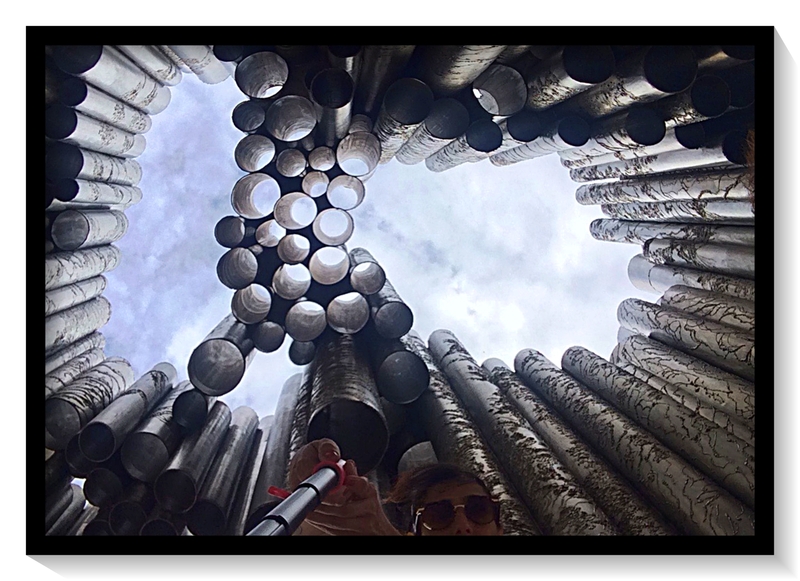 As about the monument, it’s a collection of over 600 silver pipes tethered together as an instrument. 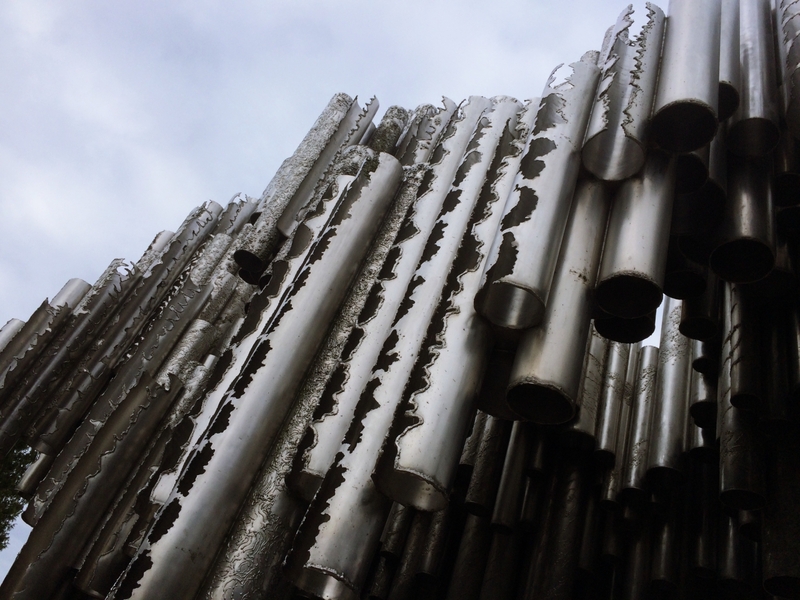 Said to symbolise the change of season, the Sibelius Monument resonates chirping sounds, ocean breeze and organ music. Which, is why this is the best spot in Helsinki to practice Yoga. For those who may not know, Jean Sibelius is a famous Finnish composer and violinist of the early modern era. However, he’s more respected as he helped Helsinki find its identity during the war of freedom. Eila Hiltunen, the creator of the Sibelius monument, had suggested the idea to the heads of the state, which, was instantly approved. Finland holds high regards for Jean Sibelius. Something they expressed by having his image on the currency until 2002. Afterwards, the Finnish currency got replaced by the Euro. 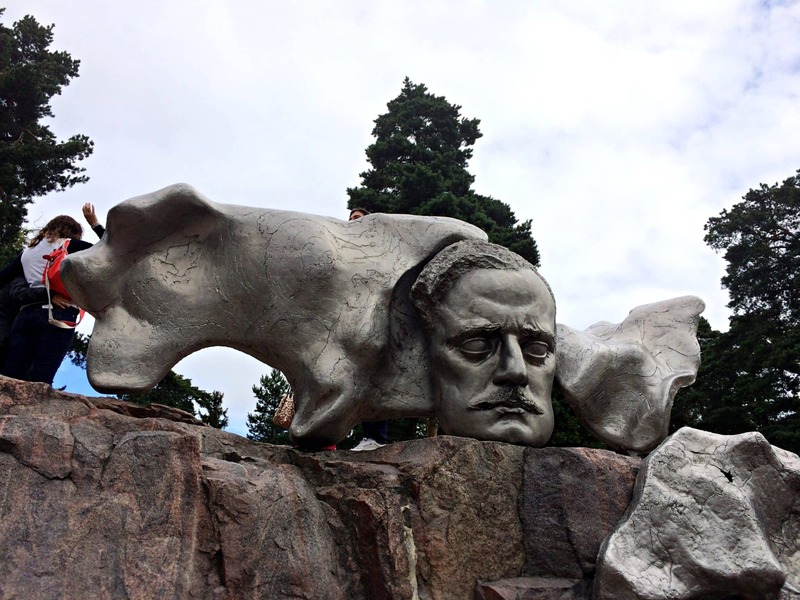 So to say, the Finnish government was thrilled by the idea of creating a monument for Sibelius. In 1967, Eila Hiltunen curated the Sibelius Monument. Which, she hand-finished by putting together 600 hollow stainless steel pipes. That must be a lot of hard-work, considering that this monument weighs 24 tonnes. 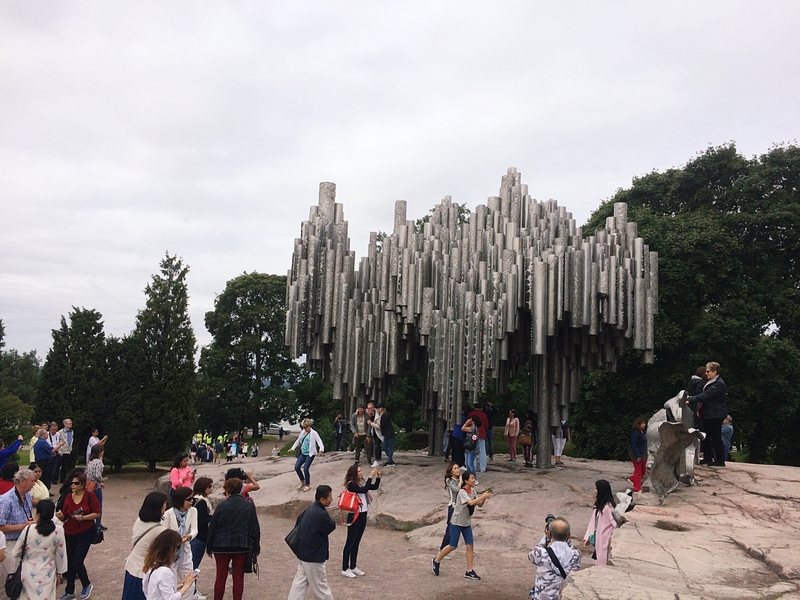 Eila Hiltunen added the essence of 14 different elements to enhance the musical note alike monument that honours Sibelius by its sheer formation. The face sculpture was added later after Hiltunen faced the critics. Just this one update resulted in nationwide acceptance within no time. As they say, every monument has a story. In this case, it’s a grand-tribute to the man who not only, created world-class music, but also, 7-sets of orchestras. I think the monument is an absolutely, gorgeous piece-of-art. The perfect tribute! To add to the celebration, Finland also celebrates the national flag day on 8th-December, which is Sibelius’s birthday. Multiple events are organised on this day, for the Finns, to participate. As, a matter of fact, in 2015, Finland celebrated the 150th-anniversary of Sibelius. So if you are visiting Helsinki anytime soon, make sure to drop by this iconic landmark.